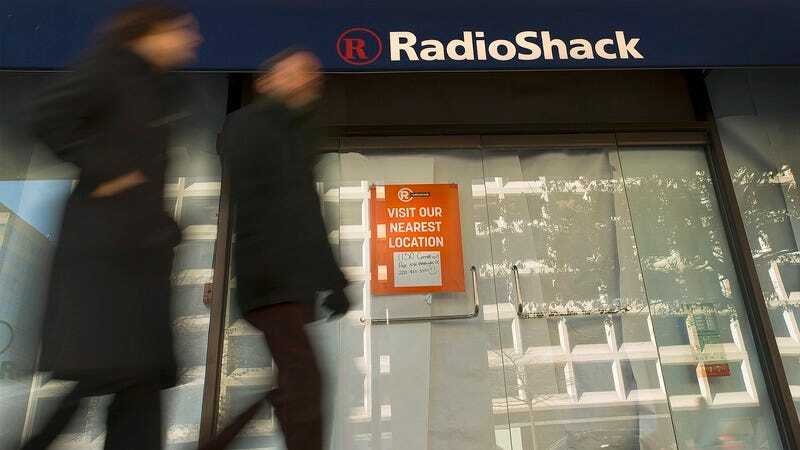 Two years after taking action to bolster flagging sales, Radio Shack is poised to file for bankruptcy again. That actually makes a certain amount of sense—two years is the cotton anniversary, and that’s a type of paper, though not the kind the company needs to get out of its financial hole. Bloomberg reports that sources close to General Wireless Operations, which attempted to save the Shack as well as American Apparel, is preparing to file for Chapter 11. This development comes in the same week that Best Buy Co. shared a gloomy forecast for its own ventures. So General Wireless Operations, the partnership formed by Radio Shack debtee Standard General LP and Sprint, shouldn’t feel too bad about the filing. Both of the companies involved have declined to comment, presumably because they’re raiding Radio Shack’s shelves for remote-controlled cars.